I fell hard for Devon from the moment he was introduced and he just kept getting better as the story progressed. I loved the friendship between him and Jas from the start. The sense of innocent devotion mixed with emerging sexual awareness makes for an almost intoxicating chemistry between them. This is very much a new adult romance. 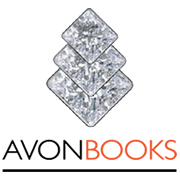 As Devon finishes college, Jas and Devon are choosing careers and futures for themselves and as Jas finds herself frustrated by seemingly impossible obstacles, Devon finds himself caught between family expectations and his own dreams. I really enjoyed the adulting aspect of this book, but there were times where Devon and Jas’ opportunities felt a little too easy and their futures a little too tidy. I found myself fascinated by Jas and Devon’s experiences as Deaf. The subtleties of their communication with each other and with others was interesting and Jas’ experiences with work were quite thought provoking. I love the way the author makes these two immediately recogniseable Millennials before we even notice that they are Deaf. I also enjoyed the moments where the experience of being Deaf adds to the intimacy between Jas and Devon. I really enjoyed the characters in this story, but I did struggle with the slightly rambling plot. Jas has a complicated life and past experiences have left her wary of relationships and commitment. The result is a whole lot of angst filled yo-yo emotions that I found tedious by the midpoint of the book. There were times I struggled to believe in the ‘best friends for life’ relationship between Devon and Jas because their communication is so poor and Jas finds it impossible to trust. I had some empathy for Jas because of her family experiences, but there were a number of times I wanted Devon to stand up for himself and stop letting her walk over him. This isn’t a balanced relationship at all – Devon is Jas’ emotional support, but she doesn’t give a whole lot back. Jas and Devon’s friends are thoroughly enjoyable in this story. Devon’s brother and his boyfriend are a sweet and calm anecdote to Jas and Devon’s angst. I love their relationship with their school friends and Devon’s experiences as a social worker are great. This is a sweet story about friends who are more family. Jas is working as a waitress in a bar, but her true dream is to own and run her own bar – a bar where deaf people wouldn't be discriminated against. She is deaf and despite her deafness, she has lived on her own since her father passed away. Despite having a living mother, when her father died, her mother fell into a deep depression and never recovered. Jas tries to keep some kind of a relationship with her, but her mom barely learned how to sign in order to communicate with her daughter and is just angry and bitter. Jas wants to do things on her own – she refuses to have a handout. Even though things keep creeping up and landing on her – she keeps getting back up and hoping to continue on with her dream. Devon is sweet, kind, and totally in love with Jas. He is also deaf and has been Jas' support since they were kids. Devon has a home life with one parent who is partially deaf and another who teaches deaf students. They are kind and definitely want their children to be happy. However, the father is somewhat of a tough sell – he wants his boys to follow in his footsteps. This was a long, drawn out story and I felt that it was, at times, too long and drawn out. There were some chapters that could have been deleted without compromising the story at all, but overall, this was a sweet story and I did enjoy it. LAURA BROWN lives in Massachusetts with her quirky, abnormal family. Her husband’s put up with her since high school, her young son keeps her on her toes, and her three cats think they deserve more scratches. Hearing loss is a big part of who she is, from her own Hard of Hearing ears to the characters she creates. 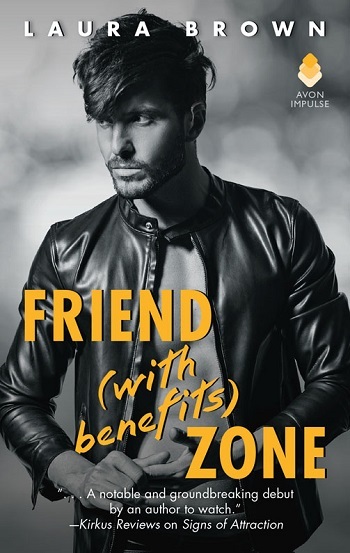 Reviewers on the Wicked Reads Review Team were provided a free copy of Friend (With Benefits) Zone by Laura Brown to read and review.